This chart by the Bancroft Company from around 1870 seeks to illustrate a range of geographical terms. Portrayed as a vista of a fictional land, a slew of geography terms including rivers, mountain chains, seas, oceans, islands, bays, city and town, canals, bridges, railways, and buildings are all shown. 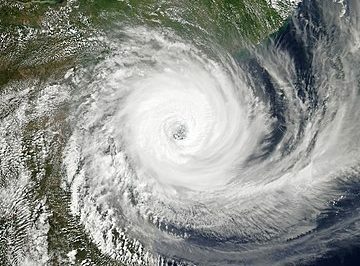 Why some of the terms such as volcano and rainbow are more easily discerned, some of the other terms aren’t quite so clear. For example, sound, strait, channel, and passage all look pretty similar. Others require a bit of assumption such as gulf labeled on a body of water that is larger than the similarly labeled bay. And, luckily for you, we’ve already defined the difference between an ocean and a sea. Overall, it makes for an interesting and educational view of a fictional region. You can view a smaller image of the chart below or visit the original scanned image on David Rumsey’s map collection site. 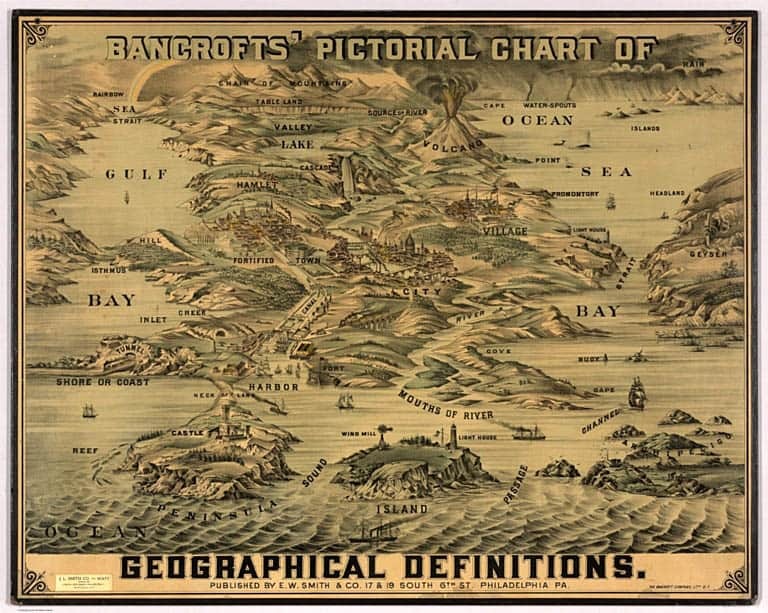 Geographical definitions by the Bancroft Company, circa 1870.